How I've lived, what I've experienced as well as the true magic I have learned to apply in benevolent ways. Use this to support yourself and others through 2012 and beyond. A fundamental change in the way energies are processed through the bodies of Mystical Men and Women, Shamans and other spiritual peoples who work with energies to support all beings is taking place now. It has to do with balance and a equal distribution of energies in the most benevolent way. Grandfather will speak of these things on this video and provide a True Magic as well to support these changes and the attunement that's going on now. 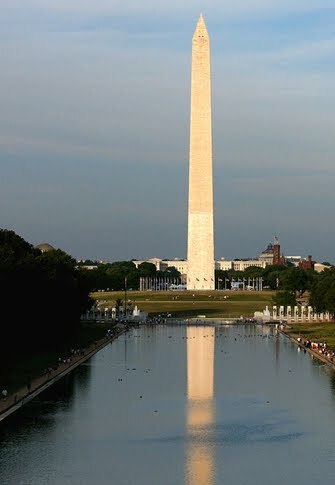 The damage to the obelisk we know as The Washington Monument, I feel has portents to have a broader impact. The original designers of the Washington Mall had ideas in mind when they placed that monument there. I feel it would be a good time now to ask or pray for solidarity in the union of the United States and all her people. Requesting well being as a circumstance in life for you with a hand position and words to say that draw energies that will support your potential improvement in life. Robert I was interesting in doing the gentle rain exercise for the Cape of Africa. I am in Central California so if there is a way to do it from here for there I would very much appreciate knowing it. Would you like to join me? Could we do a group sky hug and send the hug to Africa? Just a thought thank you sincerely. If you've been to the Cape and have walked around there in the area and know the soil and the terrain then picture it in your minds eye and try to remember it as much as you can - maybe with other senses that you have. Then review the Long Touch, as you would find here as well as here, material to get as much knowledge and wisdom there or if you're not familiar with it then study it and practice the homework. When you get good at it you can be where you are now and also feel the ground under your feet there and you will be able to do things there gently and benevolently. I have built in factors to keep you from making mistakes* and causing harm to yourself or others so there is no need to worry excessively about that. Still I recommend a thorough review of the Long Touch because you'll be trying to touch it with your feet. This of course involves Bilocation, found here as well as here, but for the advanced students who often frequent this A Mystical Man's World blog I expect that you have already read and studied these things so this is just a reminder. However if that is not the case, I realize that sounds complicated so there is one other way to do that if you're new to this blog and the practices that are taught here or have recently begun to study these things, even though it is not as direct a method indicated in your question that may have been desired - and that is simply to do this. I recommend you say, "I am asking that all the most benevolent energies that are available for me be all around and about me now." Then wait. You may feel an energy come up. Wait until it passes slightly and if you have done this work for a while you'll know when to start speaking and if you have not then wait about 10 to 15 seconds (try not to count or look at your watch, just make your best guess) or until you feel the energy fade a bit but not be completely gone. Then say, "I am asking that a gentle feminine rain fall as needed in the Cape of Africa region and that this occur in the most benevolent way for all beings there." We say the words like that because we need to take into account all beings. So ideally the rain would start slowly and allow beings who may be on various places a chance to move or that the rain come so gently and so slowly that it percolate in and that streams do not run into torrents and torrents turn into rivers and cause harm to some beings - you see? That's what I recommend. *Remember always and only to follow the directions and the suggestions and if words are involved to say them exactly as they are stated to get the best results for you and all beings. Remember, if you have a question, to check the Labels first. You'll find them in the lower right hand corner of the blog. And since the Labels may not be thorough you can always use the search box in the upper left hand corner of the blog. Anytime I put something in quotes (" "), or Grandfather gives you words to say in a video, which are a suggestion for you say something - possibly a Living Prayer or a True Magic for example, it is always meant to be said in exactly those words inside the quotes. Do not vary those words at all. If you trip over it or accidentally say another word then you'll have to go back and do it over again. I know that may seem kind of a struggle but this is how you get it right and how you learn it. I do not expect you to learn all these things at once but over time you will absorb as many as you can and others will absorb what they can and you will co-operate and do things together as needed. While I appreciate You Tube's efforts at captions, Automatic Captions are not accurate for my videos - especially videos by Grandfather - at this time. 1962 Lincoln Continental: Executive Demo - This is about a man, yes - a car, yes - but mostly about love. The word "benevolent" which is a cornerstone of Benevolent Magic is meant to express a feeling. Well meaning and kindly, kindhearted, humanitarian, good. Also when I say in a Living Prayer or Benevolent Magic, as is shared here, "...the most benevolent outcome" that means the best possible outcome for you and/or others. I have built in to all of this advice and guidance I am giving here very specific and contoured - meaning applicable to different individuals in different situations - means to protect and insulate all beings. For those who are new to this blog I recommend that if you have not found what you are looking for to use the search in the upper left hand corner to see if you can find your subject on this blog. Keep in mind that with this blog and with my others that one thing builds on the other and there is likely to be material that precedes whatever you are looking at here now though I do try to keep each post as individualistic as possible. The wisdom that you find here - share it with those whom you feel could benefit from it. Do this with my blessings and know that it is always my intent to do what I can here to improve the quality of our lives. Goodlife to you all.